You don’t need to bother with calling ticket brokers any more. Online sports ticket sites are the fastest and easiest way to find and purchase the best sports tickets at the best prices. Can be subject to fraudulent action like counterfeiting. Price fluctuations governed by supply and demand make it hard to know when you have a bargain. We can’t guarantee the customer service, we can’t guarantee that you will always find the tickets at the price that you want. What we can do is tell you the ones which we have had the best encounters with and what we think of them. So, we’ve found some of the best online Tickets Agents and Vendors and listed them here. 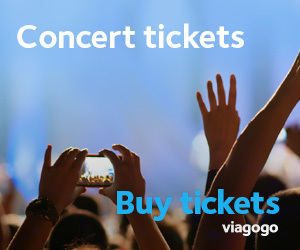 Viagogo is Swiss company, established in London in 2006. They are big on Tennis, Cricket, Rugby and Football and popular in the UK and Australia. Viagogo gets 100% from Scam Advisor at time of writing. You can read genuine purchase reviews from customers at Trust Pilot here and here. Site Jabber rates them 3.5 stars out of 5. Sports Events 365 is based in the United Kingdom. They are big on European Football, Premier League and Rugby. Sports Events 365 scores 100% trust rating from Scam Advisor at the time of writing. You can read a good (though brief) review at Ticket Review.net. who give them the thumbs up for being contactable and transparent in their customer service. Ticket Liquidator is a popular US based Ticket Agent. They have a huge range of Tickets to MLB, NASCAR, Tennis, NFL, Hockey and more. They score 100% on Scam Advisor. They also have some impressive reviews at Site Jabber with a 4.5 star rating. And they get 5 stars from Trust Pilot. Prime Sport has a niche with travel and Sports Event Packages in the USA. Being a secondary ticket seller marketplace, ticket prices are usually set by the supplier. Consequently, prices are all over the place and you need to keep your eye out for the bargain – because Prime Sport do have them!